Still feeling a bit delicate after the Electric Picnic/All Ireland Final weekend? We feel you. If you’re looking for a little treat to reward you for getting through the week, you’re in luck. 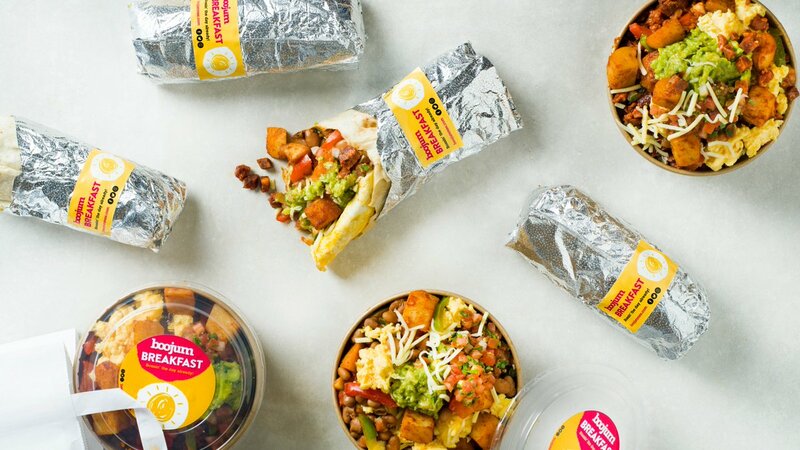 New to Deliveroo is the Boojum Breakfast Menu – yes, the beloved Mexican eatery does breakfast, and yes, it sounds amazing. Breakfast Burrito/Bowl (€6.90) – Scrambled eggs, chorizo, peppers, onions, Mexican spiced sautéed potatoes salsa, and cheese, all in a tortilla wrap or a bowl. That’d sort anything that ails ya. Veggie Breakfast Burrito/Bowl (€6.10) – All the goodness of the regular Breakfast Burrito, with the chorizo swapped for pinto beans. Yum. You can also add some Tropicana orange juice and/or a bottle of Cholula hot sauce to your order, if that tickles your fancy. The breakfast menu is available from 8am every day via Deliveroo, from Boojum’s IFSC and Mespil Road locations – with all this on offer, you’ll never have to suffer a boring breakfast again.